The Samuel H. Abramson Memorial Research Fellowship (Abramson Fellowship) at Harvard University was established in 1983 by Edward and Harriet Abramson in honor of Edward’s father to support students conducting research on issues related to Israel and Jewish studies. However, when Edward (HC'57 and HLS'60) passed away following a courageous battle with ALS in 2001, the focus of the fellowship shifted to support students conducting stem cell research particularly in the areas of ALS and neurodegenerative disease. The Abramson Fellowship is open to Harvard University students in their sophomore, junior, or senior years. The Abramson Fellowship has been awarded to more than 250 of Harvard’s best and brightest students. recent recipients of the Abramson Fellowship. Harvard University senior and Abramson Fellow Seth Cassel was born and raised in Baltimore, Maryland and attended McDonogh School in Owings Mills, Maryland. Seth became interested in research in seventh grade when he wrote a speech on the power of embryonic stem cells. After his presentation, he continued to read more about stem cell research and decided that that he wanted to further pursue his growing interest at college. 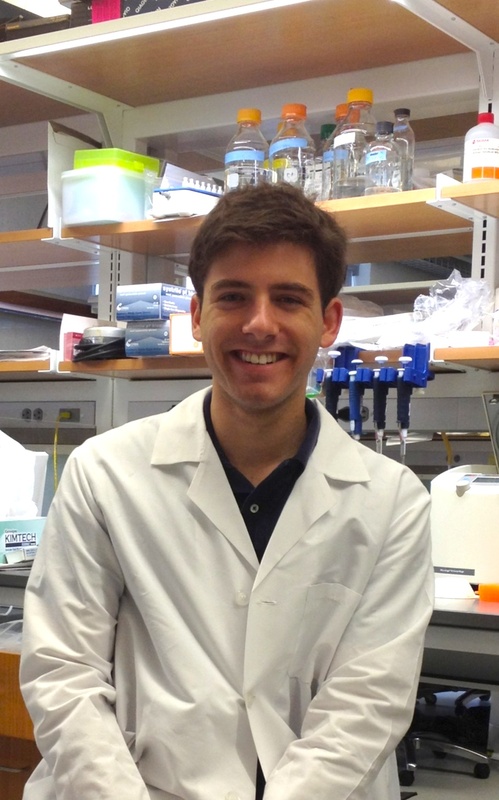 Seth chose to attend Harvard University because of the available resources in stem cell biology which include Harvard’s world-renowned Department of Stem Cell and Regenerative Biology and a unique undergraduate major, Human Developmental and Regenerative Biology, which is specifically dedicated to the study of cellular plasticity. In addition to his interest in stem cell research, Seth has been an active member of the Harvard community having served as president of the Student Mental Health Liaisons and as president and Editor-in-Chief of the Harvard Science Review. He also cofounded the Harvard chapter of DREAM Youth Mentoring as well as cofounded a youth literacy website, LitPick.com. We recently asked Seth to share his thoughts about being awarded an Abramson Fellowship in the summer of 2012 and how his research at Harvard will impact the understanding of neurodegenerative diseases such as ALS. Q: How did you become involved in the Abramson Fellowship program? Q: What type of research are you currently conducting? A: In my sophomore year I took the “Stem Cells and Regeneration in the Pathobiology and Treatment of Human Disease” course taught by Professor George Daley which explores the intersection of science and medicine. In the class, I became interested in the behavior of neural progenitor cells in the brain and spinal cord in the context of ALS. These neural progenitor cells have been reported to produce new mature cell types in response to spinal cord injury and thus represent a potential source of cells to ameliorate cell death following trauma. I hypothesized that neural progenitor cells may behave in a similar proliferative fashion during ALS disease progression. Therefore, my project is aimed at studying these neural progenitor cells in ALS to better inform efforts to modulate their behavior for therapeutic purposes during disease progression. Q: Why did you choose to focus on neurodegenerative disease research? A: About six years ago, my grandfather was diagnosed with dementia. I saw his condition steadily decline during the time I have been in college. One of the most frustrating aspects of the disease is that there is little doctors can do to help him maintain his memory. This experience has fueled my desire to study neurodegenerative diseases in my classes and through scientific research. Given my interest in stem cells, I found that the clinical challenges presented by neurodegenerative diseases offered me an opportunity to use regenerative biology to work towards improving human health. Thus, I was fortunate to discover Professor Eggan’s laboratory in Harvard’s Department of Stem Cell and Regenerative Biology which gives me a chance to participate in research at the intersection of basic science and medicine. Q: How has being awarded an Abramson Fellowship motivated you to continue with your research? A: During my time studying ALS, some of my most powerful and motivating experiences have come as a result of being connected to the ALS community. I have had the opportunity to shadow neurologists in an ALS clinic and meet patients affected by the disease. Additionally, the Abramson Fellowship has further strengthened my connection with ALS and brought me closer to those who are personally affected by the disease. In addition to funding my research, the Abramson Fellowship gave me the opportunity to attend two conferences – one in Japan and one in Boston – in order to learn more about the field of ALS research, which has influenced the direction of my own work. Through these experiences, I was also able to meet ALS patients and hear their moving stories of living with the disease. A: I am fascinated by the ability of basic science to impact human health. This year I am applying to MD/PhD programs. I see an MD/PhD education as an incredibly important step in furthering my understanding of both basic science and clinical medicine. With this foundation, I hope to serve as a clinician-scientist, using clinical observations to direct basic science research to maximize our impact on human health. Q: What is your message to ALS community? A: One of the most powerful experiences for me has been hearing the stories and seeing the enthusiasm that comes from those who are personally affected by the disease. Your bravery and willingness to publically share your experiences puts a human face on the disease, giving incredible meaning to the work we are doing. Also, during my time working in Professor Eggan’s lab, I have been exposed to an impressive array of ALS researchers worldwide. ALS is a complex disease, but exciting progress is being made. The level of collaboration between labs is inspiring as each draws upon its own area of expertise to form a powerful network of researchers trying to understand and treat this awful disease. I want to thank those in the ALS community and the supporters of the Abramson Fellowship. The opportunity to be a part of the ALS research effort has a profound effect on me personally. It has helped me realize that I want to work to bring science into the clinic to help develop better therapeutics for patients.